Father was Henry Shackleton and his family was Anglo-Irish originally from Yorkshire, his Mother Henrietta was Irish from Cork and Ernest was one of ten children. Born on 15 February 1874 in Kilkea near Athy, County Kildare, Ireland, about 46 miles from Dublin to parents Henry and Henrietta. Schooled by a governess until 11, he then went to Fir Lodge Preparatory School in Dulwich, London. At the age of thirteen, he entered Dulwich College. 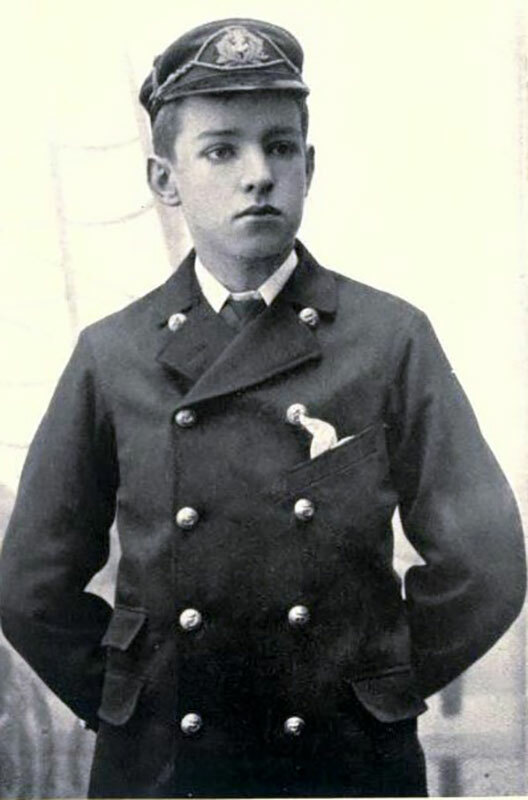 Leaving school at 16 to join the NW Shipping Company becoming a Master Mariner in 1898. 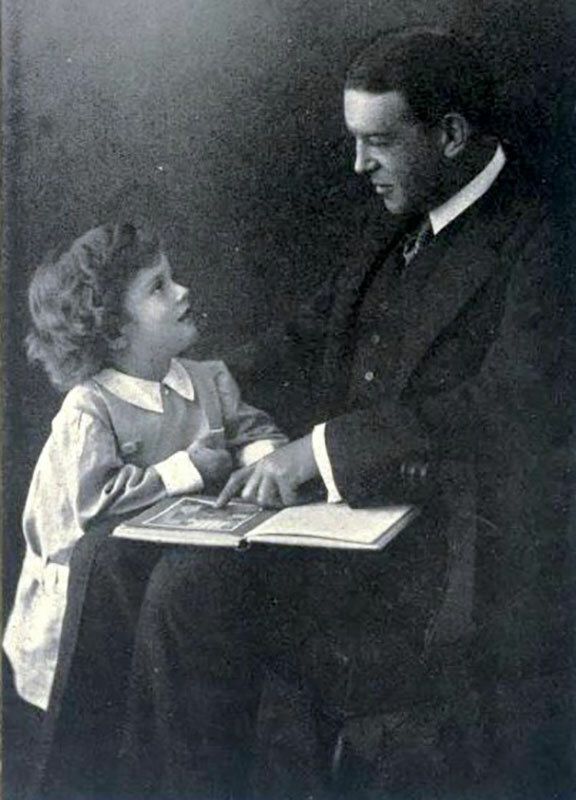 Married Emily Dorman in 1904 and had three children (Edward, Raymond and Cicely). 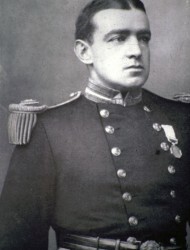 Before Endurance, Shackleton accompanied Robert Scott on the Discovery expedition before leading the Nimrod expedition, both to Antarctica. Leader of the Endurance mission which ended in failure but led the incredible escape to safety and then rescued the entire crew with not one lost. While on the Quest expedition he suffered a fatal heart attack on 5 January 1922 and was buried in the Grytviken cemetry, South Georgia. Sir Ernest Shackleton remains one of the greatest explorers and the remarkable Endurance mission story is probably the greatest rescue of all time. Scott for scientific method, Amundsen for speed and efficiency but when disaster strikes and all hope is gone, get down on your knees and pray for Shackleton. 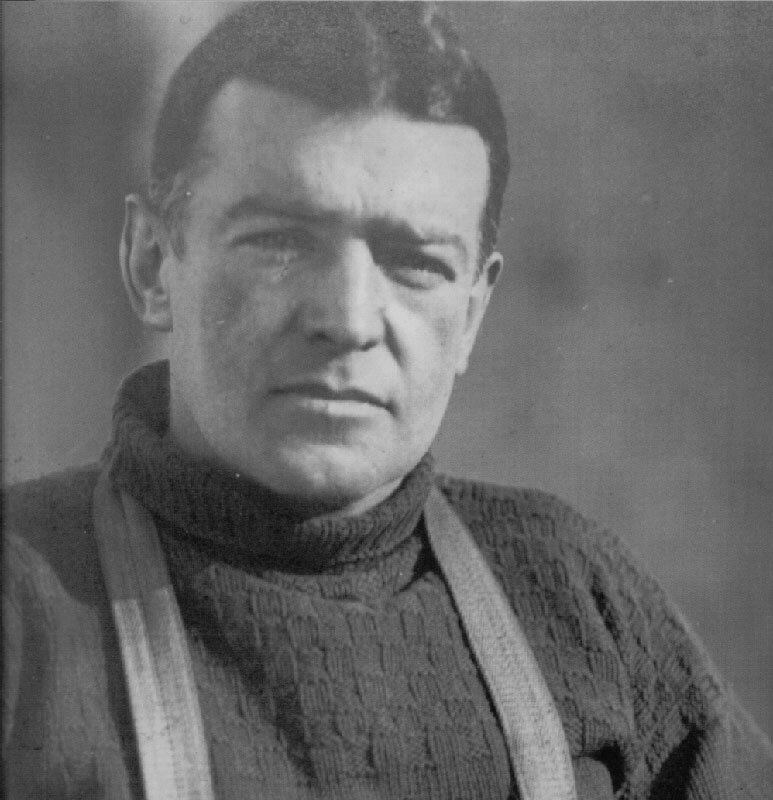 Ernest Henry Shackleton was born on the 15th February 1874 in Kilkea, County Kildare, Ireland. 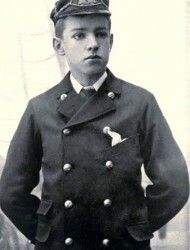 The second of ten children, he was brought up in London, attending Dulwich College before joining the Merchant Navy aged 16. 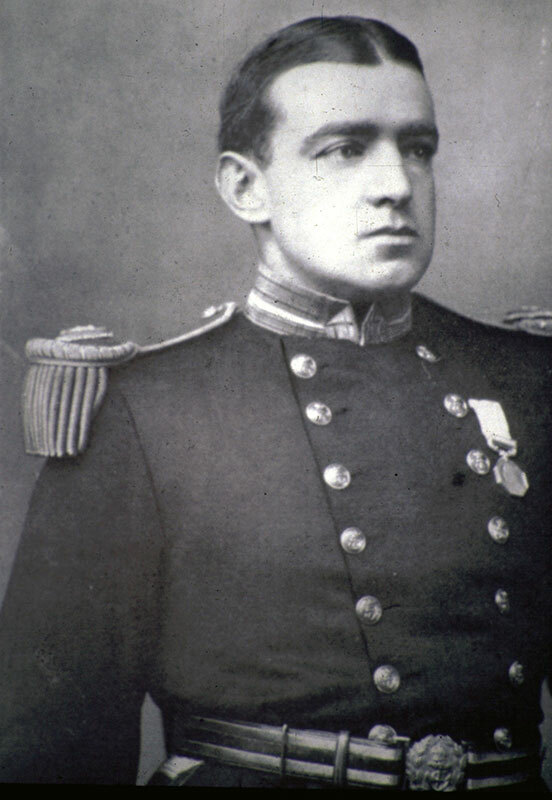 Shackleton was certified as a Master Mariner in 1898 and was accepted in 1901 on the Discovery expedition to Antarctica led by Robert Scott. He was chosen to accompany Scott on the most southern march towards the South Pole for research purposes, returning home due to ill health. On 1st January 1908 he led a crew on the Nimrod expedition, sailing with to Antarctica again. Trekking towards the South Pole in the quest to be first, they reached the closest ever achieved before turning back or face certain death. It was a race against starvation but they made it back to the ship just in time to return to England. On his return he was greeted as a hero by Kind Edward VII, knighted and honored by the Royal Geographic Society. After the South Pole was reached by Roald Amundsen in 1912 he decided to plan for the last great Antarctic expedition, to cross the continent. After receiving financial backing from Sir James Caird, Dudley Docker and Janet Stancomb-Wills he chose his crew and set sail from Plymouth on the 8th August 1914. Encountering awful weather, the Endurance became stuck in the ice floes and pack ice before sinking in November 2015. With no chance of rescue or raising the alarm, Shackleton planned a daring and dangerous rescue to sail in a lifeboat to South Georgia and reach a whaling station. With four other crew they launched the James Caird into the treacherous seas of the Antarctic and against all the odds they reached South Georgia. Then having to trek across mountain ranges to the other side of the island they finally reached help on 20th May 1916 before rescuing the rest of the crew on 30th August. Not a single man had died, almost two years abandoned in the most inhospitable place on earth, they all survived with Ernest Shackleton as their leader. In September 1921 Shackleton embarked on another expedition to Antarctica on the ship Quest. Whilst in South Georgia Shackleton suffered a fatal heart attack and died on 5 January 1922. He was buried in the Grytviken cemetery in South Georgia, in 2011 the ashes of Frank Wild were interred next to Shackleton’s grave. Sir Ernest Shackleton remains one of the greatest leaders and inspirational explorers in history. 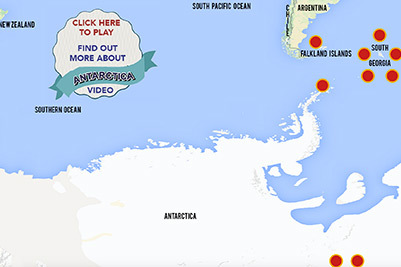 Click the image to explore Antarctica in our Virtual Antarctica Web App.